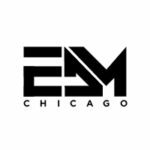 The Midwest’s largest all-electronic music festival, Spring Awakening Music Festival, will return to the Chicagoland area for its 8th installment on June 7-9 at Poplar Creek at 59-90 Entertainment District in Hoffman Estates, a Northwest Chicago suburb. The festival has had quite the journey in finding its new location after Adams-Meddill Park. The new location, nearly double that of last year’s site, allows for bigger and better stages, more production, and additional experiential environments. 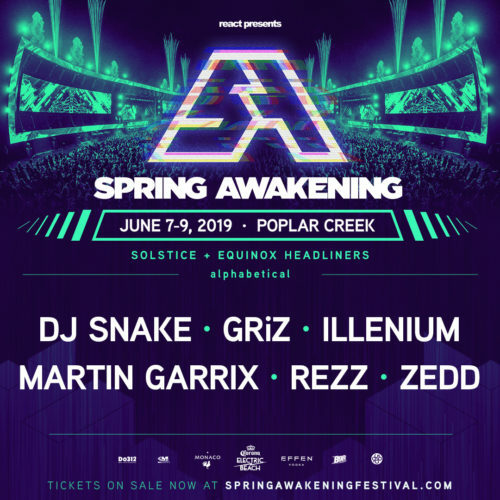 In even more exciting news, Spring Awakening also revealed its headliners: DJ Snake, Martin Garrix, REZZ, GRiZ, and ILLENIUM. More than 90 other artists will be joining them across a variety of different electronic music sub-genres. We have yet to hear of a full lineup, but will be sure to keep you posted. Tickets for Spring Awakening are on sale now.